The Atlantic, via Logan: Which Jobs Have the Highest Rates of Depression? 50 years of research on bus driver well-being. Phil in AK approves of the beards. 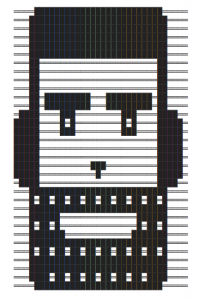 JohnnyK adds ASCII beard art and thinks cycling is good for your back pains. Tim is taking the Amtrak sleeper car too! TopHat says Amtrak ought to allow cargo bikes. Say it again! Nathan chimes in on Amtrak too with a story from his childhood. Doug Robertson is blogging at four season cycling! Drew the Welder says saddle sores could be boil/abscess instead of lymph system. Best to stop riding until it goes away. Also he mentions the Rinko for easy train travel! Scott says everyone should get “‘bent” – as in recumbent bicycles. He referencesbikeism, and Australia’s HPV race. PBJMatt asks: Why is it that all the great adventurers are British?